You may have your work routine down to a science, from where you prefer to grab some quiet space to the exact time you take a lunch break. But there's one very important element you may be forgetting when it comes to success in the office: Your desk. 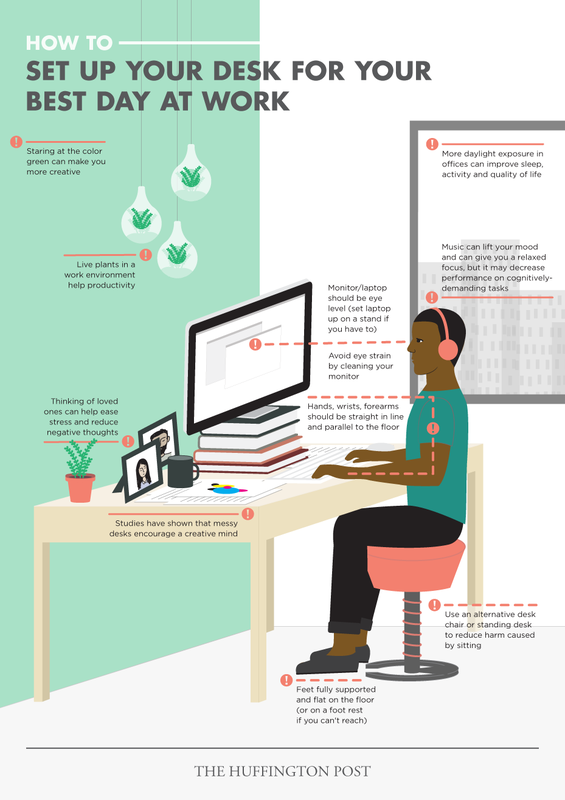 How you use your workspace -- from the way you sit to the way you decorate -- can influence overall productivity and creativity. Simple things like knowing how to place your feet on the floor or when to hit pause on Pandora can all make a difference in optimizing work efficiency. 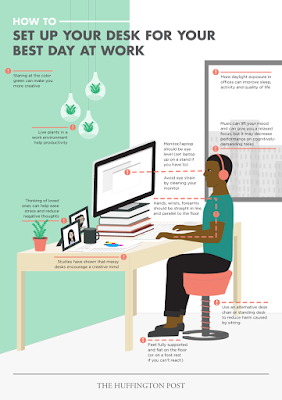 Taking pride in your workspace could make the difference in your office happiness. Research shows if you're joyous and satisfied at work, your productivity increases.